Looking for ways to measure your users’ experience? You’ve come to the right place. 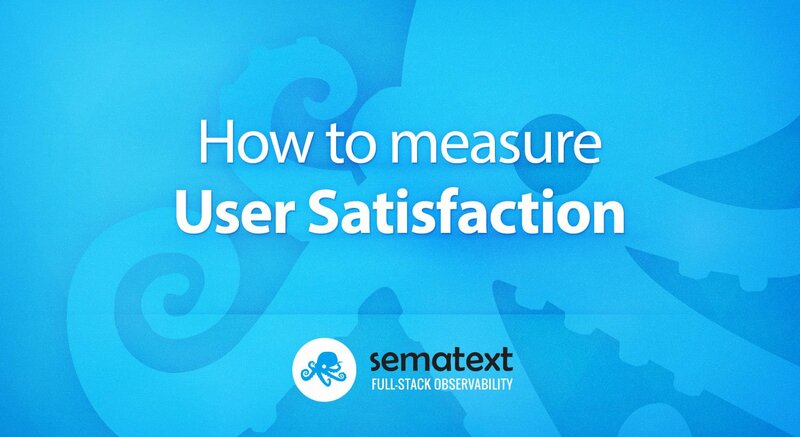 In this article, we will be diving into several ways to measure your users’ satisfaction as well as ways to enhance & expand your real user monitoring strategy. Let’s start off with the basics. In order to measure your users’ experience with your Apdex score you first have to monitor their interaction with your website or application, obvious enough right? That’s where RUM comes in. Real User Monitoring, or RUM, is a type of monitoring technology for digital businesses that analyzes customers’ digital experiences by looking at exactly how online visitors are interacting with a website or application, analyzing everything from page load events to AJAX requests, to computing Apdex, to capturing frontend application crashes. This monitoring software is part of APM (Application Performance Monitoring) and it allows you to stay in control of your users’ digital experience, and in turn, their level of satisfaction. What’s the difference between RUM and APM? Check out RUM vs. APM: How they’re Similar and Different. So you may be asking yourself, how exactly do I begin to measure the level of satisfaction of my users when they interact with my website or application? Let’s take a look at one of the key features of Real User Monitoring that will help you get the most out of your RUM solution: Apdex. Application Performance Index, or Apdex, is a measurement of your users’ level of satisfaction based on the response time of request(s) when interacting with your website or application. So how does it work? First off, the application or website owner is responsible for defining the target response time (based on their performance goals), known throughout this article as T (time) where all requests handled in T, or less, are “satisfactory” for your users. Thus, the resulting application performance index is a numerical measure of user satisfaction based on the response time to x requests of a website or application. In this example, we will use a website or application that receives 400 requests in 3 minutes where our Apdex threshold or T is set to 0.5 seconds (500ms). Let’s say that 270 requests were handled within 500ms, which qualifies as “Satisfactory” range. Then, 70 requests were handled between 500ms and 2 seconds (2000 ms), which would be in the “Tolerable” range. Lastly, the 60 remaining requests were either not handled properly or took longer than 2 seconds, so they would fall in the “Frustrated” range. Thus giving us an Apdex score of 0.76: (270 + (70/2))/400 = 0.76. What is a good Apdex Score? The average Apdex score is 0.85 so if you are anywhere near that range, you’re doing something right. This Apdex score is also useful, for example, with transaction tracing as it provides insights into what requests or transactions are causing slow scripts on your page. So what comes next? After you define your Apdex levels, are you done? No! This is just one part of your overall Real User Monitoring strategy. Most importantly, invest in a comprehensive Real User Monitoring Solution. Apdex is centered around one key performance metric, response time based on x number of samples, so it’s unrealistic to say that with this simple KPI you are truly monitoring your users’ digital experience. Let’s look at why. Response time values don’t take into account the time on the page, engagements, clicks, conversion rates, etc. and also can be less accurate when working with user data that has different locations, browser types, connection types, etc. If you’re not new to application performance, and how it works, you should instantly acknowledge that all application or website requests perform at very different levels. For example, your “Search for Hotels” request response time will be much higher than your “View Hotel” response time. These 2 clearly different requests should not be constrained to the same time-based threshold. Thus the need for a comprehensive RUM solution. Modern-day user experience optimization is much more complex than just an Apdex score and requires a comprehensive solution that will provide you with actionable insights. For example, Digital Advertising is now almost entirely being delivered by third-party code which has a huge (and direct) impact on your website’s or application’s user experience (UX). However, Apdex simply can’t accurately attribute UX metrics to your third-party tags, making it kind of a useless metric when measured alone, and has little to no benefit for your software-based or digital business. Using a comprehensive Real User Monitoring solution is what will allow you to stay in control on your users’ digital experience and their satisfaction! The data provided by your Real User Monitoring solution should give you insight into how effective your IT investments are as well as providing actionable data that, in turn, will allow you to convert online customers faster, reduce churn and improve customers’ overall digital experience. In today’s competitive landscape, it seems that not investing in a comprehensive monitoring solution is pure madness. Looking for a Real User Monitoring solution? Sign up today to receive a free & exclusive beta-invite to Sematext Experience.